This blog gives an introduction to using the basic command line interface terminal. In order to work with file and directory effectively, I hope this blog is helpful for users who use Linux. 1. pwd (print working directory): The pwd command allow you to know in which directory you're located. Example: "pwd" in the Desktop directory will show "~/Desktop". 2. sudo (superuser do): the sudo command allows a permitted user to execute a command as the superuser or another user, as specified in thesudoers file. 3. cd: The cd command will allow you to change directories. 4. ls: The ls command will list the files in your current directory. 5. cp (copy): The cp command will make a copy of a file for you. "cp scuti blog" will make an cope of file "scuti" and name it "blog", but the file "scuti" will still be there. If you want to cope a directory, use "cp -a /path/from /path/to"
6. mv (move): The mv command will move a file to a different location or will rename a file. "mv scuti asia" will rename the file "scuti" to "asia". "mv scuti ~/Desktop" will move the file "scuti" to your Desktop directory, but it will not rename it. You must specify a new file name to rename a file. 7. rm (remove): Use this command to remove or delete a file in your directory. 8. rmdir (remove directory): The rmdir command will delete an empty directory. To delete a directory and all of its contents recursively, use rm -r instead. 9. history: Display all of the previous commands you typed. 10. mkdir (make directory): This command allows you to make new directories. 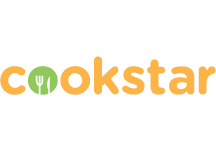 Example: "mkdir cookstar" will create a directory called "cookstar".